Timothee Chalamet had one Hell of a 2017. 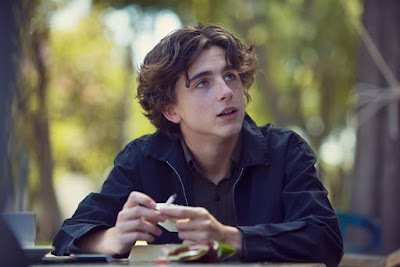 The young actor kicked things off starring in Luca Guadagnino's Call Me By Your Name, a performance that has made him the youngest Best Actor Oscar nominee in 80 years. But that wasn't all, as he was also part of Greta Gerwig's terrific Lady Bird ensemble, and had a blink-and-you'll-miss-him role in Scott Cooper's Hostiles. Now Chalamet has landed another high-profile role, this time in his first royal drama. He'll star as King Henry V in The King, from Animal Kingdom director David Michod and co-writer Joel Edgerton. The film is described as a "modern-day Shakespearean adaptation", and follows Henry when he takes the throne following the death of his brother. He would lead England through two successful invasions of France, taking total control of the French throne. Shooting begins in June, and marks the second Netflix movie in a row for Michod. He previously directed Brad Pitt in last year's War Machine.